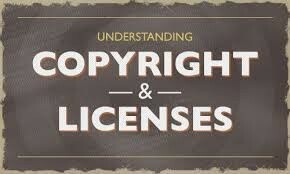 Its were you create something and copyright it were no one can use it without asking or paying. Copyright means that someone created something and if you want to use it you need to asked that person or pay them money to use it. For example when you don't pay for music on your phones or iPod. Or if you don't pay for games. You could get in huge trouble you could even go to jail.